In 2010, campaigners from the national media group Standart initiated the Wonders of Bulgaria. The campaign aims to preserve and promote both the tangible and intangible cultural heritage of Bulgaria by raising awareness of its quality amongst its own citizens and throughout the world. The activities include the organisation of tours, debates and other events; the production of publications and exhibitions; and the campaigning for the recognition of Bulgarian cultural heritage at international level. The campaign in favour of Bulgaria’s cultural heritage has coincided with a 20% increase in tourism to Bulgaria in the last 7 years. “The Wonders of Bulgaria is the first campaign to popularise the material and immaterial heritage of Bulgaria. It has stimulated the preservation and promotion of cultural heritage through a wide range of media”, the jury highlighted. From 2010 to 2017, 50 discussions were organised on the Wonders of Bulgaria in cities across the country to promote the cultural and historical heritage of the respective regions, to initiate the establishment of cultural and historical routes, and to assist the development of cultural and historical tourism. These discussions were attended by representatives of the government, the municipalities, businesses and non-profit organisations. As a result of these forums, 20 new routes for cultural and historical tourism were established, which are now successfully offered by the tour operators of Bulgarian. The campaigners have also promoted the nomination of Bulagaria’s intangible cultural heritage as World Heritage. The tradition of carpet-making in Chiprovtsi, which was inscribed on the UNESCO Representative List of Intangible Cultural Heritage of Humanity in 2014, and the Festival of folklore in Koprivshtitsa, which was inscribed on the UNESCO Register of Good Safeguarding Practices in 2016 are two successful examples of this campaigning. The campaigners installed two exhibitions regarding Bulgaria’s cultural heritage in the country’s airports, reaching over 1,000,000 travellers so far. The first was installed in 2014 in the airports of Sofia and Varna. From 2015 to 2016 a photo exhibition was installed at several metro stations in Sofia. 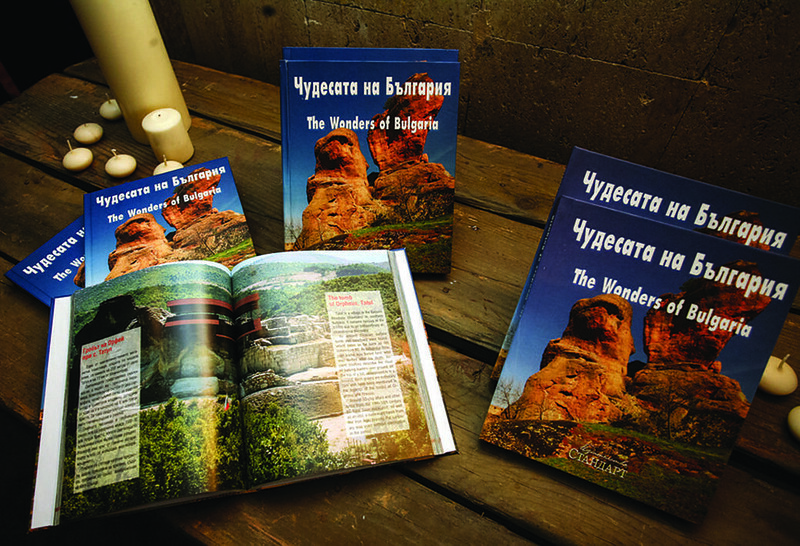 A a series of 18 books titled “The Wonders of Bulgaria” with a total circulation of 350,000 copies was also produced. The authors of the series are some of the most renowned historians and archaeologists in Bulgaria, each of whom wrote a book about the sites of that they personally studied. The tireless efforts of the campaigners behind the Wonders of Bulgaria has resulted in increased awareness of the country’s natural, built and intangible heritage in both Bulgaria and abroad.